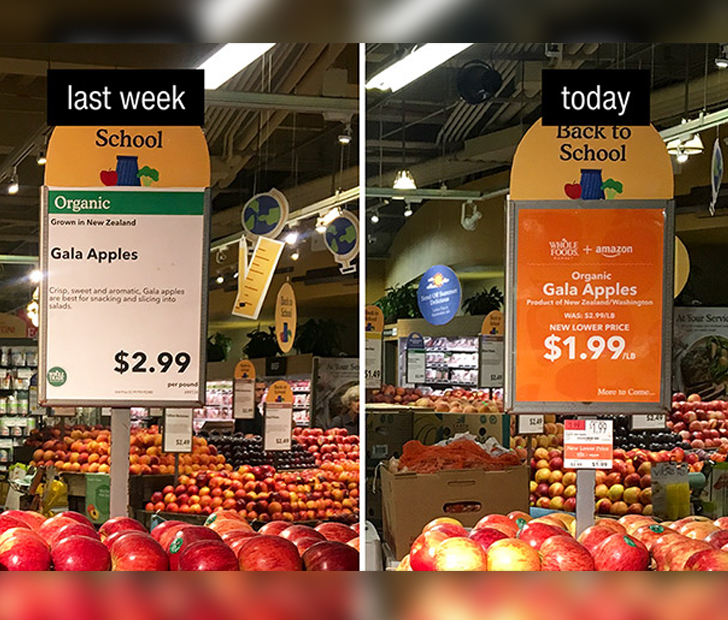 As of late August, Amazon now officially owns Whole Foods, and we could not be happier at both the promise of lower prices and seeing Amazon continue to take over the world, one overpriced company at a time. 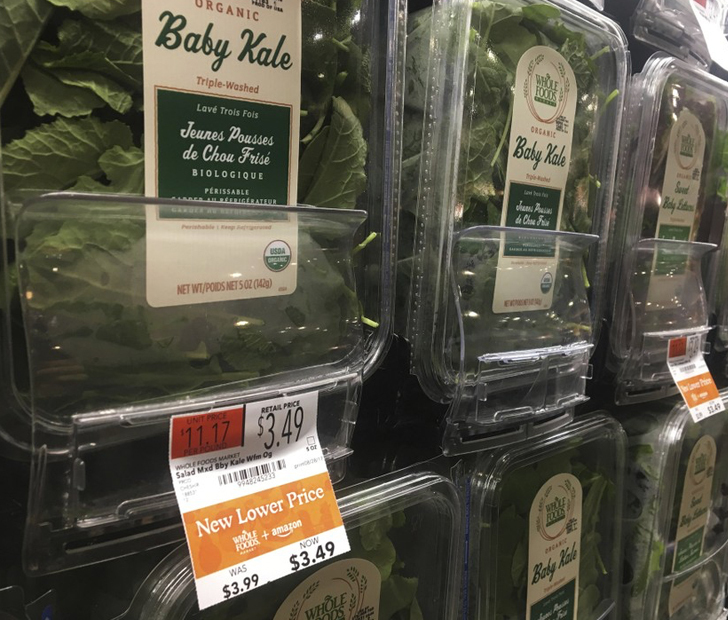 Consumer CEO Jeff Wilke said of the new venture, “We will lower prices without compromising Whole Foods Market’s long-held commitment to the highest standards.” That’s right. There is no doubt that Whole Foods has high standards. Their food is always fresh, ready, and organic. The bursting-with-flavor red sauce on their margherita slice tastes like something out of a pizzeria in Naples. There is no denying the high quality of the food there. But people have gotten fed up with the high prices. There should be some middle ground between rotting Walmart produce and breaking the bank to eat veggies at Whole Foods. And now, there is. Amazon officially took over on Monday, August 28th. The items sold at Whole Foods are now available on Amazon Fresh, Prime Now, and Prime Pantry. We are pleased to see the Amazon lived up to its promise to lower prices. And quickly. Here are some of the recent changes: bananas from 79 to 49 cents per pound, large brown eggs from $4.29 to $3.99 a dozen, avocados from $2.99 to $1.99 each, almond butter from $7.99 to $6.99 a jar, fuji apples from $3.49 to $1.99 a pound, and salmon from $10.49 to $9.99 a pound. More items which prices have dropped include Gala apples, butter, kale, rotisserie chicken, baby lettuce, tilapia, and lean ground beef. Most of the drops are one to four dollar decreases. The rough estimate is about a 30% price drop of these specific items. What do you think about the new owner of Whole Foods? Comment below and don’t forget to SHARE to Facebook! Next ArticleHow Germ-Infested Are Kitchen Sponges, Really? Tech Giant Acquires Whole Foods!